These pretty earrings are endlessly useful. They would look great with jeans or a smarter outfit, and they are so affordable that you can treat yourself without breaking the bank. 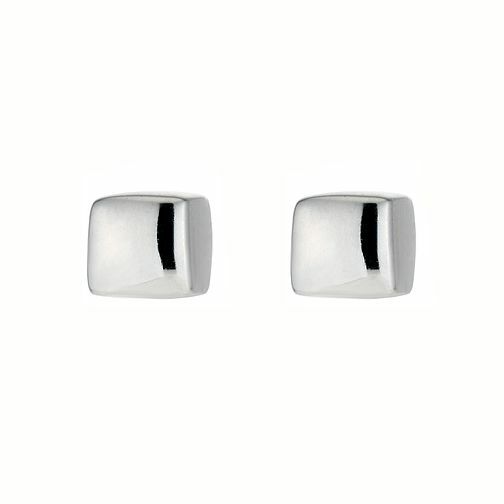 Square Silver Stud Earrings is rated 4.8 out of 5 by 14. Rated 5 out of 5 by Anonymous from Silver earrings Ordered these online, good price they are quite petite but perfect for what I’m wanting, to be able to was all day & also sleep in them with no problems. Would recommend. Rated 4 out of 5 by Anonymous from Quick and Simple. Stress Free It was a last minute anniversary gift for my wife at the start of December. They were the earrings she wanted and I purchased them online quickly and they were delivered a couple of days later. Really handy and took a lot of the stress out of pre-christmas purchasing.